Still the best. Fantastic selection. Great product description. Easy check out. Fast delivery. What`s not to love? Cendirect is the go to company for electronics. Your stock selection is amazing. Customer care and prompt delivery times will keep me coming back. Keep up the good work. Photo is for Illustration purposes only. Actual Product may be different. Need 5 or more of these on a single order? Ask for a quotation here. We generally respond within 3 business hours. To calculate your total cost including Sales Taxes+, applicable EcoTaxes and Shipping charges, please click “Add To Cart” then select your destination Province. 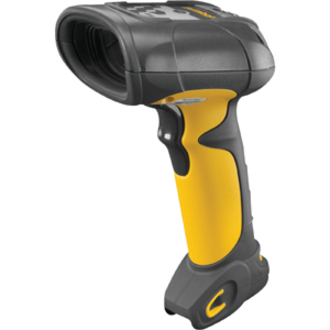 The DS3578 Series of rugged, cordless, omni-directional 1D/2D imager scanners bring comprehensive, high-performance data capture to harsh industrial environments. Engineered with breakthrough digital imaging technology, this scanner family delivers extremely fast and accurate data capture of 1D/2D bar codes, direct part marks (DPM) and images, and supports Item Unique Identification (IUID). Integrated Bluetooth provides cordless freedom, improving productivity. The manufacturer does not accept any open box for returns on any Bar-Code Readers. All sales for this product are final. Need additional information on this product? Ask and we will respond promptly! © Copyright CENDIRECT.COM Inc. 1996-2019. All Rights Reserved. ® All trademarks are the property of their respective owners. Prices, promotions, specifications and terms of offers are subject to change without notice. While we make every effort to verify the accuracy of the product information posted, Cendirect.com is not responsible for typographical and/or photographic errors. Cendirect.com recommends that clients visit the manufacturer’s website for specifications. Cendirect.com reserves the right to change our terms and conditions at any time without notice.